With its succulent meat markets, charming Old Town, and easygoing pace of life, Montevideo is one of the most underrated cities in South America. Far less crowded than Buenos Aires across the Rio de Plata, Montevideo has a leisurely vibe as relaxing as it is welcome. This isn’t to say it’s slow, however, as the bustle of people on the waterfront is one of the city’s highlights. Officially, the Rambla de Montevideo stretches 13.5 miles along the city’s waterfront. Here you’ll find joggers, walkers, and skaters all enjoying the riverfront parks, or maybe children just flying a kite while their parents sip mate in the shade. It’s the public gathering place to take in the sun or simply go for a stroll, and on the warmer days of summer and fall, is the place to pack a bikini or board shorts and spend a day on the beach. Given its length, the Rambla is broken into many zones for different parts of the city, and one of the most popular is Rambla Sur which runs the length of the Old Town. 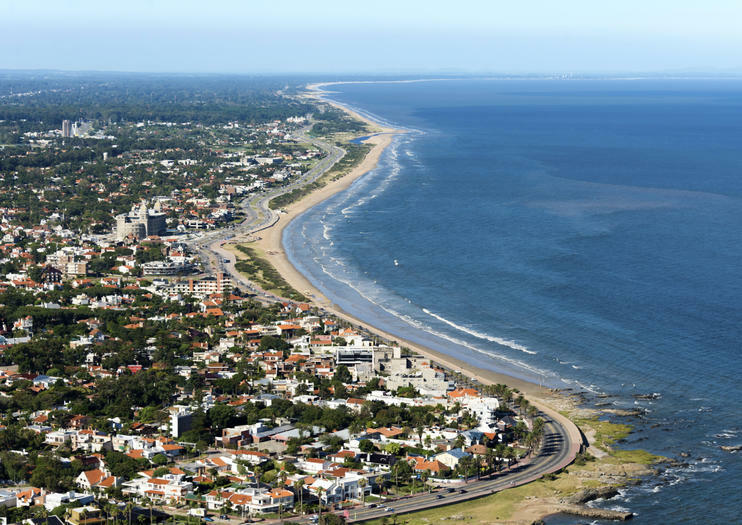 Head to the section by Playa Pocitos for the popular, wide sandy beach, and if you like to start your day with the sun, there’s nothing better than a sunrise jog along the Uruguay coast. There is no admission fee or official hours for spending time on the Rambla, although parking can sometimes be a challenge on the busiest days of summer. Be sure to pack sunscreen since there’s little shade, and shops and restaurants are easily accessible along any part of the strip. A nice and varied walk through various different urban and park landscapes, showing and telling about some of Uruguayan history, native flora and fauna, art and culture.In our tours we'll get to know about Uruguayan music, art, architecture, we'll show you the hidden, the authentic... ​And we'll have very interesting talks about our identity and history.And at the end you will get a good guide to continue the tour on your own.In Inside Uruguay we seek to escape from the obvious. Our tours are developed by people with great knowledge in history, art and architecture, looking to provide a product of excellent quality, fun and following routes designed to show the most interesting of each place. Montevideo is an ideal and super friendly city to do this type of tour. It does not require major difficulty since the zones to cross are flat and suitable for bikes.Doing a bike tour you will see the most beautiful places in a funny, sustainable, panoramical way and at a good speed that allows all the above described.